It is a bactericidal and kills bacteria by interfering with the synthesis of the bacterial cell wall . 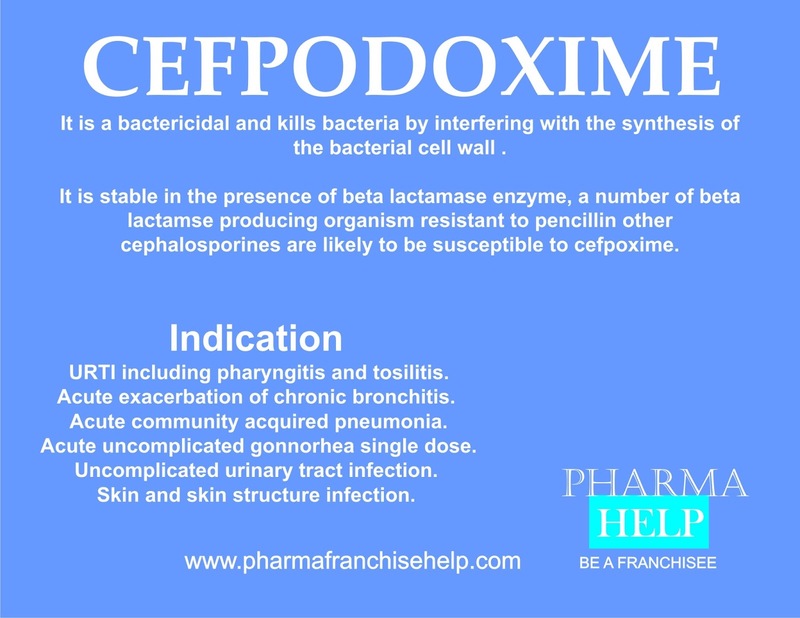 It is stable in the presence of beta lactamase enzyme, a number of beta lactamse producing organism resistant to pencillin other cephalosporines are likely to be susceptible to cefpoxime. URTI including pharyngitis and tosilitis. Acute exacerbation of chronic bronchitis. Acute uncomplicated gonnorhea single dose. Skin and skin structure infection.